LQFP package means Low Profile Quad Flat Pack. 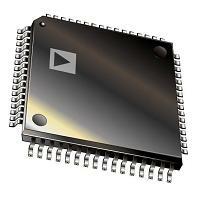 A Low-profile Quad Flat Package (LQFP) is a surface mount integrated circuit package format with component leads extending from each of the four sides. Pins are numbered counter-clockwise from the index dot. Spacing between pins can vary; common spacings are 0.4, 0.5, 0.65 and 0.80 mm intervals.